Many people today rely on stand-by generators to back up all their electrical equipment whenever there is a power outage. It rarely matters how and when the electricity goes out. However, when it does, the availability of a generator is going to make everything more convenient. What would happen if the generator is not functioning properly? Though it may not be something we think about often, a generator can also malfunction over a period of time. The only difference is that when a generator does not work, you probably have no other backup. In such a case you will need to immediately find and hire a generator repair service. This is why you need to have a dedicated generator repair service company near Little Falls for both repair, maintenance and emergency services. We are a company that provides our customers with generator repair services that give them peace of mind. Power outages will no longer become an issue. 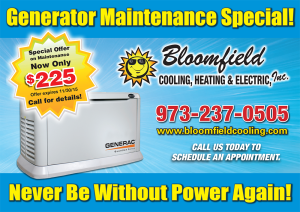 With Bloomfield Cooling, Heating & Electric, Inc., you can have your generator properly maintained and fixed promptly. 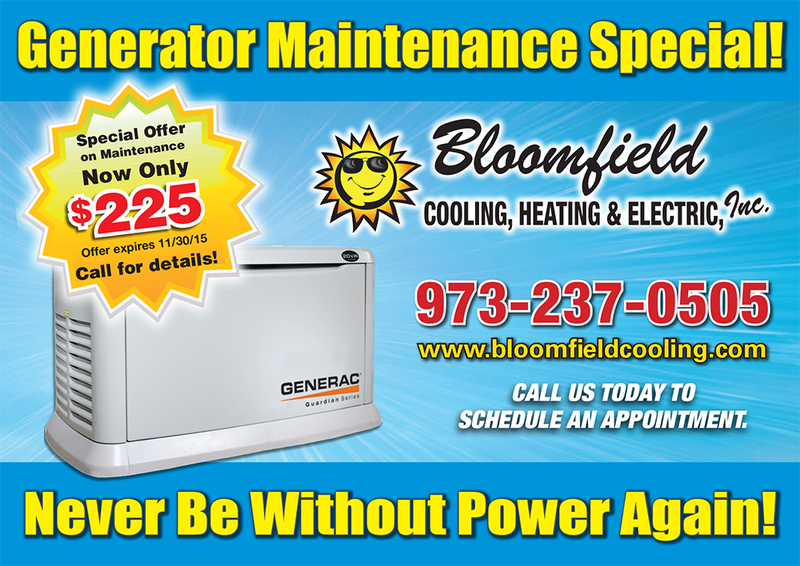 A well-maintained stand-by generator will last for decades, but during that time it will need maintenance and repairs. Stand-by generator repair options will include modernization, retro-fitting and standard repairs. Modernization involves raising the technology of an old generator to new current standards. This is often performed to improve the efficiency of a stand-by generator and extends the lifespan for many more years. The condition of the stand-by generator will determine whether modernization is a good option or not. Retro-fitting is similar to modernization but deals with the upgrade of a part of the generator instead of its whole subsystem. Retro-fitting is a good option when it solves a simple problem that is being produced by the old part. Just like modernization, it eliminates the need for a full replacement and extends the lifespan of the stand-by generator. A standard repair will then consist of replacement of broken parts with the same part in new condition. Standard repairs are recommended when the stand-by generator does not modernization or retro-fitting. Our licensed technicians will explain to you all of these repair options. They will assist you in making the best decision that fits your needs. We have serviced the Little Falls area since 1987. 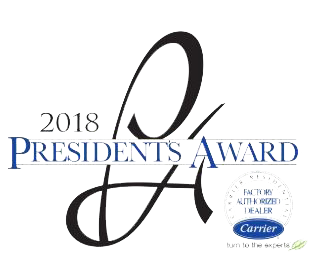 We are an established company who has been recognized by “Angies List” and the Suburban Essex Magazine as the “Best of Essex” . Why invite a stranger into your home when you can invite your neighbor.